Are now open. Those that have already filled out an EOI should have received their Registration Pack. For those that would like to join the 2019 event please fill out an EOI by clicking the link below. 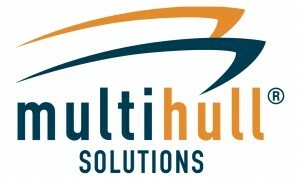 The Multihull Solutions – ‘Go North’ – Sail 2 Indonesia Rally is all about choice! Option1– Cruise in Company. The Whole Nine yards! Option 2– Go your own way but let us handle the paperwork! Option 3– The Combo – A combination of the two to best suit you! See below for full explanation of rally options. During the months leading up to the start of the ‘Go North’ Sail 2 Indonesia Rally, registered participants will be provided, via email, a wide range of information regarding preparations of your vessel, crew, and arrangements for your forthcoming blue water voyage to Indonesia. These info packs are jam packed full of information necessary for the smooth running of the event as well as info that some of the more experienced skippers may have already seen but many of the first timer’s may not have. We ask all participants to review this information with care. The rally is open to all vessels, power or sail, monohull or multihull from 9m to 25m departing from the Southwest Pacific, Australia or PNG. Option 1 – Cruise the Queensland Coast and clear from Thursday Island (TI) in the Torres Strait. Assuming a departure date of May 1st (being the official end of cyclone season) from say Bundaberg with the view to arrive at the option 1 rally departure point being Thursday Island (TI) in the Torres Strait you will cover just over 1000 nm. Covering this ground in 7 weeks is not a great challenge however it would certainly be a rush if you were to try and get as far as Darwin, which is nearly double the distance, in the same period of time. By choosing the Go North Sail 2 Indonesia rally you will be able to experience the magnificent cruising grounds of the Queensland coast at a more leisurely pace as opposed to having to be continually on the move in order to get to Darwin. Add to that some great events and the Rally Great Deals we are offering and you would likely agree that the Go North Sail 2 Indonesia rally is the logical choice. For those who are not travelling into Indonesia from Australia option 2 provides the opportunity to clear out from any SW Pacific port such as Noumea, New Caledonia or Luganville, Vanuatu and head straight to your entry port in Indonesia or maybe even visit Papua New Guinea on the way and Depart from the Royal Papua Yacht Club in Port Moresby. While getting to Darwin early in the season from the Queensland coast may be hard work a Darwin departure makes sense for the vessels that are already in or near Darwin or would like to cruise up the West Coast from other places such as Fremantle or Broom. Darwin has two departure times, the first to coincide with the fleet arrival from other ports in Debut. The second departure is later than that of TI (Thursday Island in the Torres Strait) and allows late comers a fully supported alternative with their arrival point either Saumlaki to join the MoT festival program or Lombok. The confirmed rally departure dates (skippers should plan for a rally start from TI 12th – 15th July) will be announced as soon as the Indonesian Ministry of Tourism Festival Route has been finalised, and is only an indication at this stage. It is skipper’s responsibility to plan their passage to arrive at their port of entry into Indonesia within the clearance timeframe. Your arrival port is going to be determined by which rally option you choose. The Full, all singing, all dancing, fixed Itinerary, lots of festivals, great fun cruise in company. With this option your place of arrival will be Debut. Our Indonesian partners will meet and greet you in the Kai islands – Malaka Regency for the start of what will be a three and a half month experience of a lifetime on the Indonesian Ministry of Tourism Festival Program. Debut– for those wishing to cruise the northern Regencies in the Banda Sea we can accommodate an early arrival at Debut in the Kai Islands one week earlier than the main fleet in option 1 above. Saumlaki– allows you to extensively cruise Indonesia’s southern islands at a relaxed pace. Participant that plan to join the Indonesian MoT program can join this at Labuan Bajo, west from Saumlaki. Lombok– with clearance at Indonesia’s only world-class marina, Lombok is the perfect place to base yourself for extended travels with four of the main cruising areas within easy sail. Vessels can also be left here for extended periods between cruising seasons, safely, securely and well looked after. Indonesia does after all boast over 17,000 islands, more than you could hope to experience in just one season. Combine option 1, 2 & 3 as a rally participant if your first choice was option 2 or 3 you are welcomed to join any of the Indonesian MoT arranged events noted in option 1 and if option 1 was your choice and you want a break or you’ve found that perfect spot, slow down for a while and re-join later. Your Rally Packs contain all the information you’ll need for cruising the Far North Queensland Coast, Departure from TI (Thursday Island), For those departing from Darwin;- Departure Info From Darwin and your arrival in Wonderful Indonesia. Australian based participants in the Multihull Solutions 2019 ‘Go North’ Sail 2 Indonesia Rally will be able to collect their Rally Packs at the Cairns Cruising Yacht Squadron from the beginning of June. This is to allow for the departure from the Torres Straits at the pace that suits you and provide you with the opportunity to enjoy the beauty of the magical Queensland coastline to the fullest on your way north. Vessels Departing from Darwin will be able to collect their Rally Packs from TBA and those departing from Port Moresby can collect their Rally Packs from the Royal Papua yacht Club. All Participants are eligible for all the Down Under Rally “GOOD DEALS”. See more details of whats on offer below! Advice, individual & group support before, during and after the rally by Sail 2 Indonesia Rally organisers. Documentation required to obtain outward clearancefrom Australian Border Force for those departing Australia. Full Service inward clearance on arrival in Indonesiaat a rally specific location for each vessel and two persons. The opportunity to voyage and cruise in company with other vessels. Optional PredictWind fleettracker allowing tracking of your vessel and the rally fleet for you, your friends & your family. An invite for 2 persons to attend our “Get to know your Iridium GO” & PredictWind Offshore App seminar. Participants will also be eligible for Rally Good Deals! As the Down Under Rally is now partnering with the ‘Go North’ Sail 2 Indonesia Rally all ‘Go North’ Sail 2 Indonesia rally participants are eligible to take advantage of the many great benefits and offers from the Down Under Rally partner businesses. 20% Discount on Cruising GuideTo Indonesia & Courtesy Flag packs. Discounts on Life rafts and safety equipment. Competitive pricing on Blue water vessel Insurance. Competitive pricing on travel insurancemade specifically for owners and crews of cruising yachts. Before you make any purchases in preparation for the rally please be sure to take some time to visit the services directory of the Down Under Rally Website and check out the many ‘Rally Good Deals” the Down Under Rally partners businesses offer on pretty much everything you could need for your boat including safety gear such as EPIRB`s, Life Rafts, Personal AIS beacons etc. The link to the Down Under Rally services directory page is below. In order to cruise offshore and visit Indonesia or any other country for that matter your vessel must be AUSTRALIAN REGISTERED. Australian Registration is different to your state registration. If your vessel is not Australian registered Australian Border Force will not grant you a clearance to depart Australia. Without this clearance your vessel will not be permitted to enter a foreign country. The process of getting your vessel registered on the Australian register of ships can take several weeks to complete, so we suggest that if your vessel is not yet Australian registered that you begin the process immediately. The Down Under Rally is holding ‘Sail SE Asia & the SW Pacific Info sessions‘ later this year in both Queensland and New South Wales. Many of those who are interested in joining the Go North Sail 2 Indonesia Rally are a bit nervous as for most it will be their first blue water voyage. The Down Under Rally in association with Sail South Pacific holds Offshore Cruising Preparation Courses, which are designed to provide you with the skills and the confidence to help make your first offshore passage a less daunting prospect. You might like to watch the video The Alpha Odyssey made about the 2017 Sail 2 Indonesia – 90 Days In Wonderful Indonesia.